Not long, then we started the photo shooting. 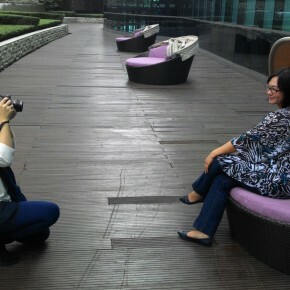 We decided to use Fit and Spa of Pullman Hotel Jakarta as the set for photo session. The colorful guest room of Fit and Spa creates an elegant background. They also have a zen garden, beside -of course- a pool, where they arrange yoga session every Sunday morning. Aelke Mariska, the beautiful girl who once was a model, now she prefers to be behind the scene artist, focus on designing and photographing. 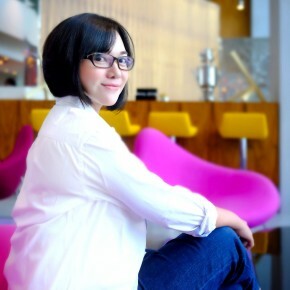 Her taste, the clean look, always makes the object looks pop, especially among the beautiful artsy hotel, Pullman Hotel Central Park, Jakarta, Indonesia, as the background. This is the sneak peak of her work, which will be put on my next published fiction.